The show featuring composer and musician (and half of the innovative production team The Mizell Brothers) Larry Mizell aired on Sunday, September 4 at 11:00pm – 1:00am on WBAI and is archived here until Sunday 9/18. The sibling duo of Larry and Alphonso “Fonce” Mizell revolutionized the sound and shape of jazz-funk–fusing the commercial sensibilities of Motown with the virtuoso musicianship of the Blue Note stable, the brothers (collaborating under their Sky High Productions aegis) produced a series of now-classic LPs of uncom…mon beauty and elegance, characterized by soaring horns, cosmic synths, celestial string arrangements and sublime rhythms. While jazz purists reviled their efforts, time has conclusively proven the Mizells’ singular genius, and their records remain some of the most sampled and celebrated within contemporary hip-hop culture. Fonce was born on January 15, 1943 (recently transitioning on August 10, 2011), and Larry was born on February 17, 1944.
both landing with the short-lived independent label LARCO. 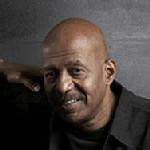 A mutual friend soon put Fonce in contact with Motown producer Deke Richards, and in 1969 he and Perren were signed to the label as staff songwriters. Together with Richards and Motown chief Berry Gordy Jr., they formed the writing and production team dubbed the Corporation–after writing a proposed Gladys Knight and the Pips song titled “I Wanna Be Free,” Gordy suggested they rework the song for Motown’s latest signing, a sibling group from Gary, Indiana dubbed the Jackson 5. Retitled “I Want You Back,” the Jackson 5 version remains one of the signature Motown classics, rocketing the group to international fame; the Corporation also emerged as reliable hitmakers, creating the Jacksons’ smash follow-ups “ABC” and “The Love You Save” as well as Martha Reeves and the Vandellas’ 1971’s effort “Bless You.” Meanwhile, after earning his master’s degree from New York University, Larry resigned from Grumman and finally joined his brother in L.A., working as a session player on a handful of Corporation-helmed projects. In 1972, Fonce and Larry Mizell acquired an ARP Soloist synthesizer and began composing demo material, eventually founding their own production concern, Sky High. Trumpeter Donald Byrd’s 1973 LP Black Byrd was the first official Sky High effort–the best-selling Blue Note release in the company’s long and storied history, it earned a Grammy nomination and immediately established the Mizells’ signature approach to jazz, which drew heavily on the sleek sensibility now dominating mainstream R&B.